The Sudoku game from Remember is a great graphical table game edition of the popular memory trainer. The game is suitable for all the Sudoku fans among us that like pretty patterns and special design. 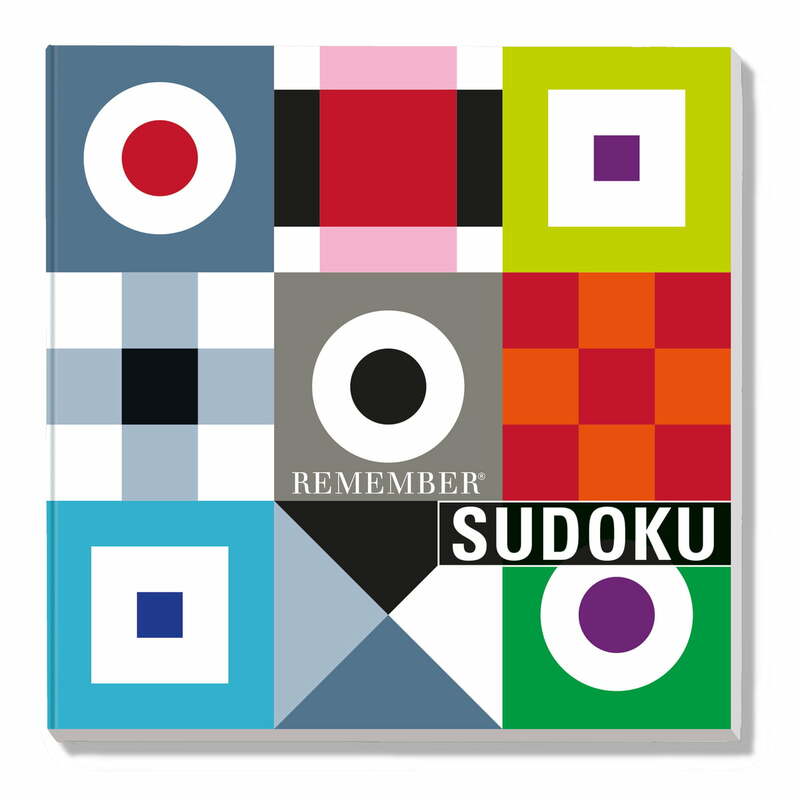 The specialty of this Sudoku game from Remember: The stones are printed on both sides, with classic numbers on one side and with Remember-typical, graphic and geometrical patterns on the other side. 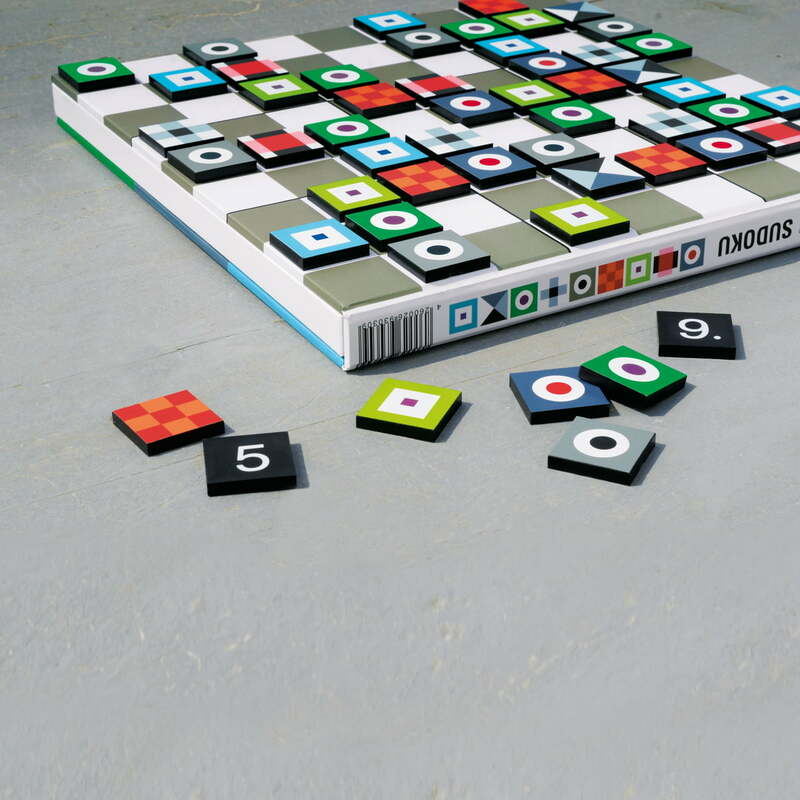 The graphic edition makes the Remember Sudoku even more tricky than the one with numbers, since it demands abstract thinking and raises the level of difficulty – despite of the fact that the graphical Sudoku even looks gorgeous and different than we are used to. 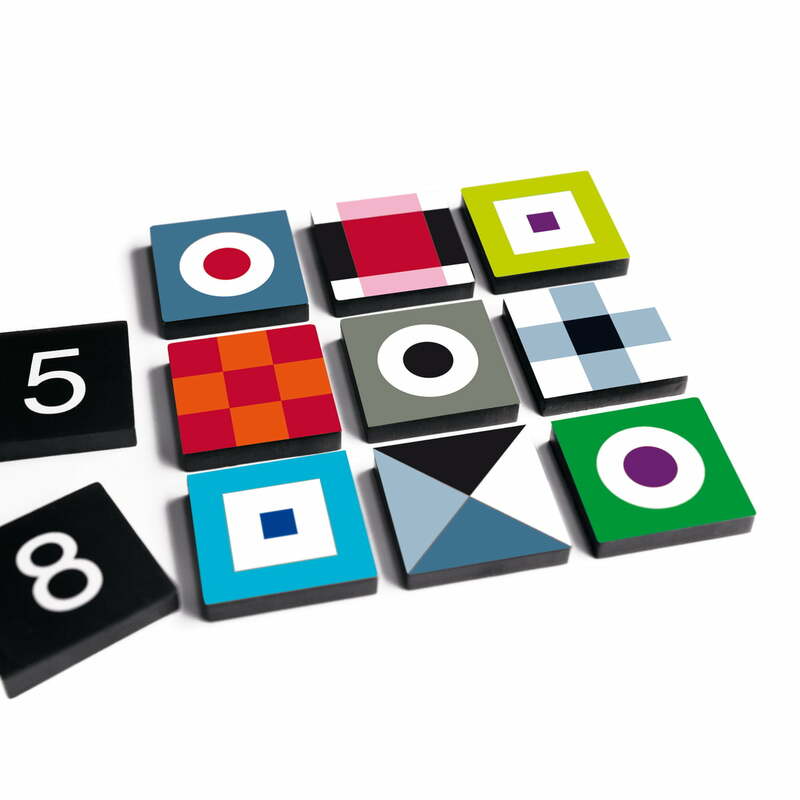 Remember produces the Sudoku magnet box with 81 printed, painted stones in a package which serves as game surface and box at the same time. The playing surface itself is made of wood and the rest of the set is made of high class cardboard. The box is closed with magnets and it will wait for its next turn, space saving, in the wardrobe. My children like this present and enjoyed in playing the Sudoku Game.